Folding smartphones are almost here. Although they are not yet on sale (and even if they were, I don't know if you should spend thousands to buy one), you can now download the Galaxy Fold wallpaper. You may not be able to have Samsung's folding device... but at least you can imagine. During its presentation at the Unpacked event, the Korean manufacturer was quite cautious about showing the Galaxy Fold. One of the things we were able to see, however, were the colorful wallpapers. For its folded screen, Samsung opts for a leaf, while unfolded the smartphone it displays a butterfly of the same color. There are a total of 14 wallpapers with a resolution of 2152 x 2152. You choose which one you prefer for your smartphone. You can download them through this link, courtesy of our XDA-developers colleagues. Huawei Mate X vs Samsung Galaxy Fold: who flexed it best? 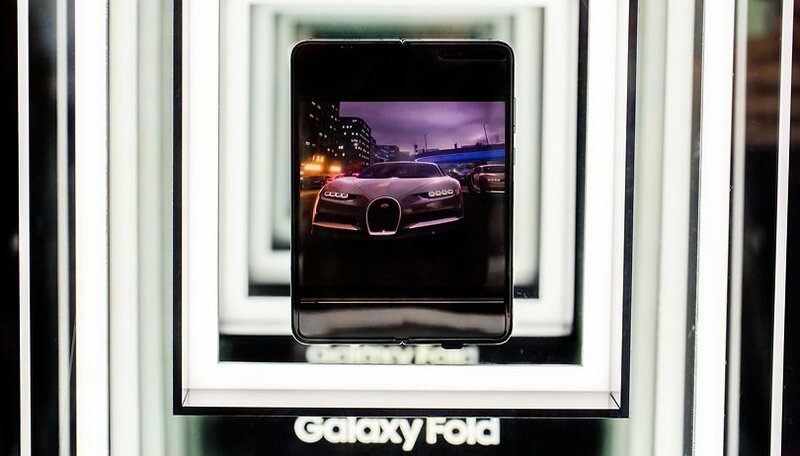 The Samsung Galaxy Fold will be launched on April 26 in the United States and South Korea, and on May 3 in Europe. Pre-orders will begin on April 26 for Europe, while the dates for the United States have not been announced yet. The 4G model with 12GB of RAM and 512GB of storage will cost 1980$ in the US, and although it has no confirmed price for Europe, it will be around 2000 euros. Samsung also announced that it will release a 5G model of the Galaxy Fold, but we don't know its release date or price. Are you going to download the new Galaxy Fold wallpapers? Let us know in the comments.